In 2005, he created, produced and directed a series of 12 "Insanely twisted Shadow Puppets" interstitials for MTV Networks. The shorts premiered on "Nickelodeon's "Halloween Shreikin Weekend" in October2005, and can be seen on www.insanelytwisted.com. 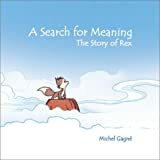 Teaming up with his beloved wife Nancy, the creator made the jump to print in 1998 with his critically acclaimed first book, "A Search for Meaning: The Story of Rex", and the birth of GAGN� International Press. 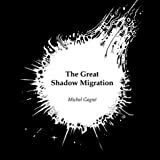 Since then, the library has expanded to include many more releases, solidifying Gagn�'s reputation as an independent publisher. 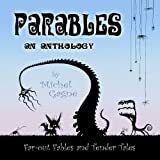 Titles such as "The Mystery of He", "The Great Shadow Migration", "The Bird, the Spider, and the Octopus", "Frenzied Fauna: From A to Z", "The Towers of Numar", "Parables: An Anthology", "Freaky Flora: From A to Z", and the highly popular "Insanely Twisted Rabbits" have earned Gagn� a worldwide following. In 2001, Michel's premiered his ongoing comic series "ZED" to critical acclaim. A year later he was invited to write and illustrate a 40-page Batman story for DC Comics. His bizarre and highly controversial tale, "Spore", was serialized in "Detective Comics" #776-780. 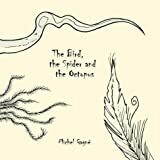 Michel is also a regular contributor to the hugely successful comic anthology "Flight".